It’s official: NGHS will build hospital in Lumpkin Co.
GAINESVILLE, Ga. — Northeast Georgia Health System (NGHS) announced plans to offer hospital services at the former home of Chestatee Regional Hospital later this year and begin developing a new replacement hospital along Georgia 400 in Lumpkin County. The NGHS team has already started working to open an emergency department – along with some inpatient beds, imaging equipment and other services – in July 2019 at the existing building that was once home to Chestatee Regional Hospital. The new hospital facility will be called Northeast Georgia Medical Center Lumpkin, or NGMC Lumpkin for short. Complete emergency services will be provided 24/7/365 by the same group of physicians that care for emergency patients at all Northeast Georgia Medical Center (NGMC) hospitals. While offering services at the existing hospital site will preserve the Certificate of Need authority to operate a hospital in Lumpkin County and meet the short-term needs of the community, planning has also begun for a new replacement hospital facility to sit on 57 acres NGHS already owns along Georgia 400, near the intersection with Highway 60. The new facility is tentatively scheduled to open in 2022 and expected to provide emergency services, inpatient medical/surgical care, imaging services and a focus on outpatient surgery. The number of beds and operating rooms at the new replacement hospital facility will be determined during the planning process, which will also explore innovative ways to deliver care. As the transition from the existing hospital facility to the new hospital facility is on the horizon, planning for how the existing facility will be used long-term is also in the works. NGHS currently leases the former Chestatee Regional Hospital property from The University System of Georgia Board of Regents. At some point in the future, the University of North Georgia will likely relocate some of its health sciences programs and services to the property. Other local leaders are optimistic about other ways a new hospital could impact the community. DAHLONEGA, Ga. – Prospective and current college students whose goal it to enter the healthcare industry can benefit from the Regional Education and Economic Development (REED) Summit being held at the University of North Georgia’s Convocation Center Thursday from 8 a.m. Registration is $10 for students and $25 for community members. For more details and to register, visit the REED Summit website, ung.edu/reed/reed-summit-2018. Frank Berry, commissioner of the Georgia Department of Community Health, will deliver the keynote speech about the career opportunities that exist in the health care field in Georgia. UNG is hosting the summit with support from Northeast Georgia Health System as presenting sponsor. The event will also feature panels with industry and education leaders, a resource fair, and breakout sessions focused on rural health care, patient experience, business and administration, serving an aging population, information technology, and community health and wellness. 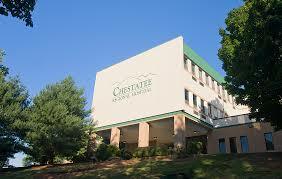 DAHLONEGA, Ga. — The Northeast Georgia Health System (NGHS) purchase of Chestatee Regional Hospital (CRH) has opened up an opportunity for the University of North Georgia (UNG) to meet the school’s growing educational needs. NGHS officials announced Friday an agreement to sell the facility to UNG. While the school will not be able to occupy the building for a couple of years, it plans to house nursing, physical therapy, and counseling education programs, as well as two existing, outreach clinics from the counseling and physical therapy departments designed to serve specialized health needs of the community. Jacobs thanked Gov. Nathan Deal and State Sen. Steve Gooch and the Board of Regents for their leadership in facilitating the purchase that will ensure healthcare for this rural community long-term, while also improving healthcare education opportunities. State legislators have earmarked dollars in the state’s 2019 fiscal year budget for the University System of Georgia Board of Regents to purchase the property. Acquisition will require final approval by the Board of Regents later this year. If approved, the Board of Regents initially would lease the property to NGHS. Meanwhile, NGHS officials will conduct an assessment of the community’s healthcare needs, including evaluating the possibility of a new facility in Lumpkin County, just south of the intersection of Georgia Highways 400 and 60. CRH is required to notify federal regulators of plans to close the hospital later this year, which would help assure existing liabilities are not tied to future owners or operators. A specific date will be set for the hospital closing during a required due diligence period. Gooch, who also serves as executive director of Lumpkin County’s Development Authority, said the deal would both stabilize the future of healthcare for Northeast Georgia and allow UNG expanded academic space. 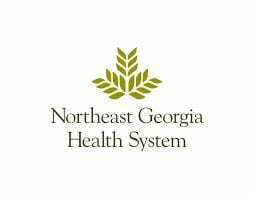 DAHLONEGA, Ga. — Northeast Georgia Health Systems (NGHS) has reached a conditional agreement to buy Chestatee Regional Hospital (CRH) property and some equipment, contingent on the results of a due diligence period. A specific date will be set for the hospital closing during due diligence. Under the terms of the agreement, CRH owner DL Investment Holdings, LLC is required to notify federal regulators of plans to close the hospital later this year, which would help assure existing liabilities are not tied to future owners or operators. “Our long-term vision is to develop an innovative strategy to promote health and wellness in the community while elevating the level of care, which will include evaluating the possibility of a newly constructed facility on that property,” said Smith. Meanwhile, state legislators have earmarked dollars in the state’s 2019 fiscal year budget for the University System of Georgia Board of Regents to eventually purchase the current CRH property from NGHS. The purchase would require a final vote of approval by the Board of Regents later this year. If approved, the Board of Regents would lease the property to NGHS. At some point in the future, the property would be used to help the Dahlonega Campus of the University of North Georgia (UNG) meet its growing educational needs. During the interim, Lumpkin County officials will work with NGHS and other area healthcare providers to help ensure residents have access to emergency care. Lumpkin County officials said roughly 37 percent of EMS patients were taken to CRH in 2017; the remainder were transported to other regional hospitals. DAHLONEGA, Ga. – State Senator Steve Gooch brought welcome news to the Lumpkin County Board of Commissioners meeting Tuesday evening. Northeast Georgia Health System will open an Urgent Care center in Dahlonega early next year. The facility will be located in the Home Depot Shopping Center on Longbranch Road at the corner of Ga. 400 and U.S. Hwy. 60 and will be open from 8 a.m. until 8 p.m. seven days a week. Northeast Georgia Health System continues its plan to bring exceptional Urgent Care to Dahlonega. Physicians and advanced practitioners will treat illnesses or injuries that need immediate attention, but are not life-threatening. No appointment is necessary at NGHS’ Urgent Care centers, and most major insurance plans are accepted. Urgent Care Dahlonega will accept patients 6 months and older and provide access to a referral network of more than 500 physicians if specialty care is needed. Urgent Care is part of Northeast Georgia Physicians Group, an affiliate of Northeast Georgia Health System, with six locations throughout Northeast Georgia. Learn more at ngpg.org.